“In your head, you think that you’re a conservative but in your heart, you’re a pure rebel, through and through.” (Kindle Locations 1678-1679). Birdie Frost wants to make a difference in the world through documentaries. She only works as an intern for a production company, but when she gets the opportunity for her big break she hesitates. It’s with a rock band on the other side of the country not with the philosophical world-changer she had proposed. 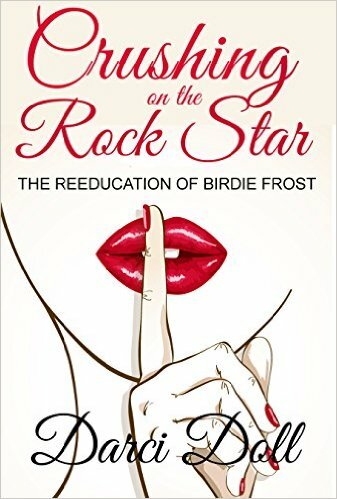 When her family, her best friend, even her fiancé don’t support her decision, Birdie decides to turn down the opportunity at first. Will she be able to set aside everything she’s known to jump at this chance to make a difference or will she stay with what’s familiar and comfortable? I liked Birdie. She sticks to her guns when it comes to morals. She is dedicated to her ideals and her job. She’s unwilling to let a little failure derail her completely. She is positive and thoughtful. She is a well-rounded main character. Her fiancé, on the other hand, is a complete jerk. The author may be painting him as ‘old fashioned’ but all I see is sexist on-the-verge-of misogynist guy who won’t listen to her opinions or give them any worth. He cuts her off when she’s talking and tells her point blank what she should and shouldn’t do as well as what he expects her to do. How is that attractive? Birdie tells us that she was attracted to Timothy for his family values and old-fashioned views, but I don’t see how she’s attracted to him at all, even from the beginning. She does not seem conservative, since at the first sign of adventure she’s willing to give it a try and enjoy every minute of it. The issues in this book are very contemporary and interesting. Birdie’s point of view is so very dramatic and very detailed. She so completely and vividly describes her first rock concert and riding a motorcycle that I intimately know how she feels and can see the scene completely. This novel was published by Amazon Digital Services LLC on June 8th, 2016 and is available on Amazon here.